This week, we have Rapunzel (I love drawing hair! Hope you like coloring it. We have a lot this week! 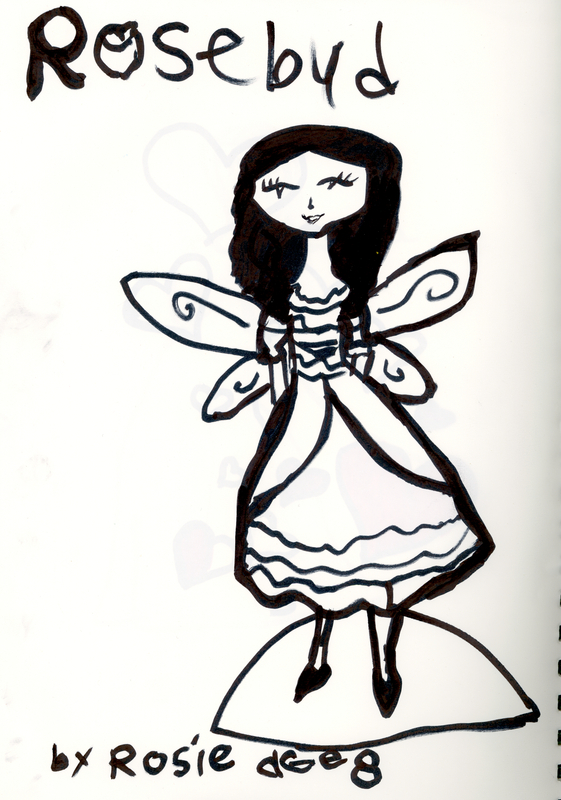 ), a beautiful doll by Rosie named Rosebud (I like this new way Rosie has been drawing her girls. She does lots of experimentation with her style and is always surprising me. 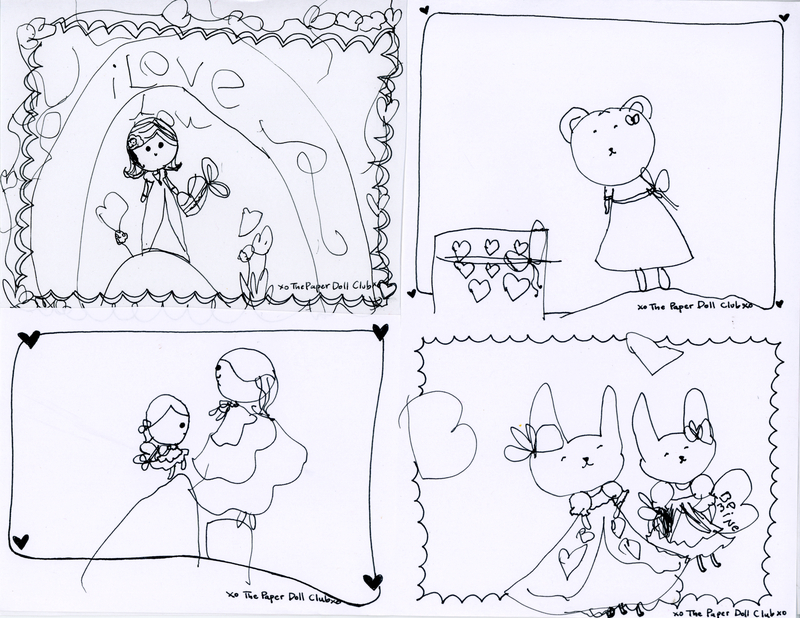 ), and we have some super-sweet Valentines made by Paloma. My favorite is the two bunnies… I think. Hard decision. 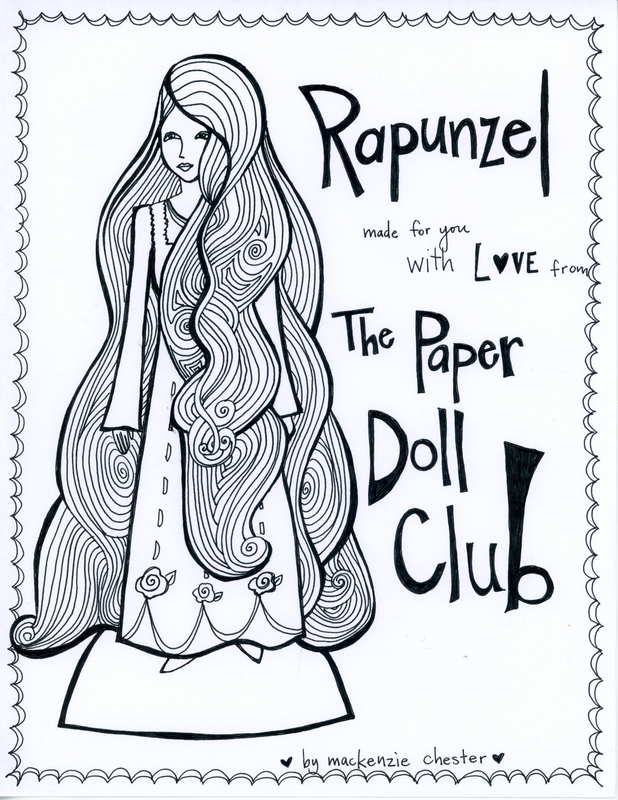 Happy Valentine’s Week from The Paper Doll Club. If you missed last week’s paper dolls, check it out! We made some really sweet printable Valentines, perfect for swapping with friends and family.